The Miami Association of Realtors hired a new chief information officer from the National Association of Realtors. Liz Sturrock was previously vice president of information technology for NAR. In Miami, she’ll work to identify technological threats and opportunities, and improve efficiency and quality of service, CEO Teresa King Kinney said in a release. Sturrock spent 10 years at NAR, where she oversaw the association’s proprietary e-commerce network. The Haller Group joined The Agency as international sales ambassadors. 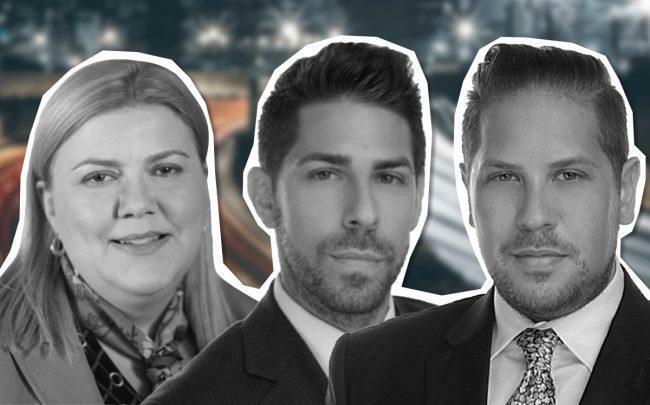 Brothers David and Brett Haller have worked for Related ISG, selling PMG’s Echo Brickell, Muse Residences, Echo Aventura and Sage Beach, and have also sold Dezer Development projects. The Agency has been growing quickly since it expanded to South Florida in October, recently taking on sales and marketing of Merrick Manor in Coral Gables. RKW Residential hired three new regional managers: Nahleena Moore to oversee the Carolinas, Julie Chu Zhang to lead operations in North Carolina, and Elizabeth Vaccaro to guide the company’s South Florida and Jacksonville portfolios. In 2018, RKW added more than 1,700 units to its portfolio. David Lane joined the Hopkins Team in Plantation. Lane, a top Coldwell Banker producer in Hollywood, was ranked as a top five producer at the Hollywood office between 2012 and 2018. Eden Multifamily, led by Jay Massirman and Jay Jacobson, brought on Evans Gedeon as a senior financial analyst. Eden and its partners have more than 2,300 units in the pipeline in Fort Lauderdale, Tamarac, Coral Springs, Orlando and Port Orange. Gedeon has financed and managed commercial real estate projects totaling over $300 million over the course of his career, according to a release. He previously worked at Trez Forman Capital. The Allen Morris Company named Daniel Schwimmer director of capital markets, based at the firm’s Coral Gables headquarters. Schwimmer will be responsible for managing the firm’s debt and equity capital relationships across the company’s portfolio. He was previously a vice president at Wells Fargo Securities in its Real Estate Syndicated Finance group.